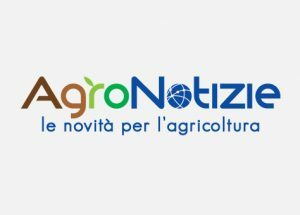 The World Agri-Tech Innovation Summit places 15 agtech start-ups in the spotlights. 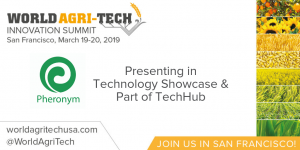 To maximize their learning opportunities and network with industry leaders and investors, 15 start-ups from around the globe will be showcasing their solutions during the World Agri-Tech Innovation Summit. The Summit will be held March 19-20, 2019, in San Francisco, California.  Pheronym is one of the start-ups in the World Agri-Tech Spotlight. 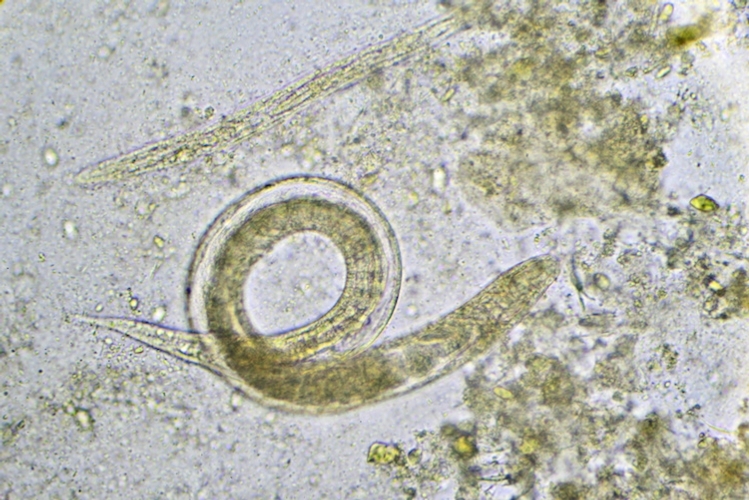 Come and see us present our technology on nematode pheromones to control the agricultural pest as an eco-friendly solution. 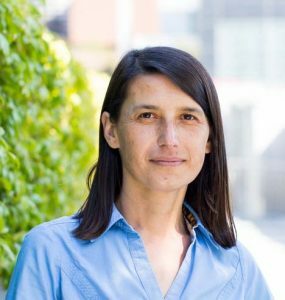 Dr. Kaplan is among the 25 thought leaders interviewed by Dr. Meenakshi Prabhune at Synthego. 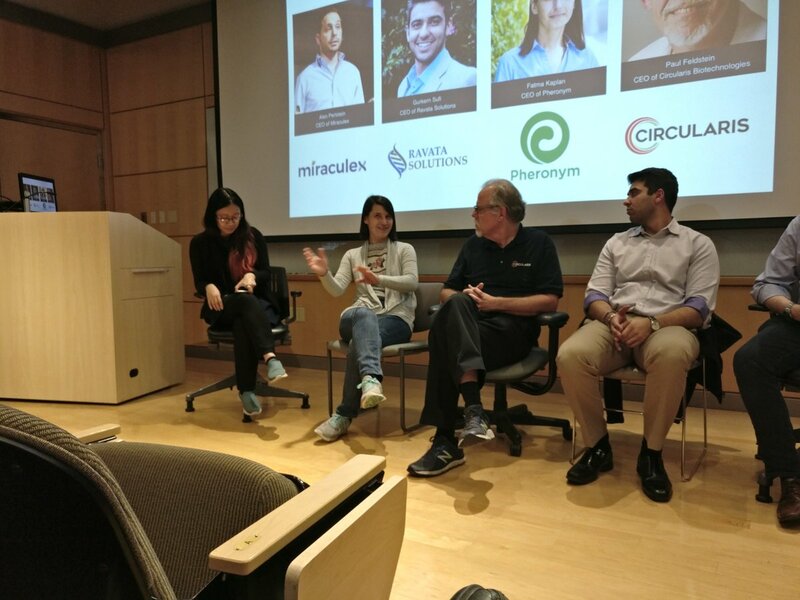 Pheronym Co-founders, Dr. Kaplan and Mr. Schiller, were in the IndieBio Biotech Entrepreneur Panel at UC Davis on Wednesday, January 23 with networking. Afterward, the Pheronym founders met UC-Davis students, other great current and future UC Davis entrepreneurs! 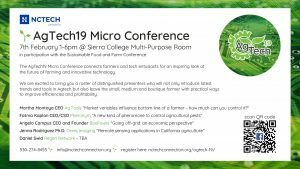 Pheronym is presenting our technology at the AgTech 19 Micro Conference at the Nevada County on Feb 7, 2019. We will also have a booth. Come and talk to us! 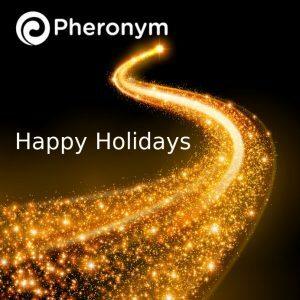 Pheronym’s founders, Dr. Fatma Kaplan, and Mr. Karl Schiller were on Money FM 105.5 Beyond the Numbers with Mark Bellows on Wednesday, December 12 at 8 am. 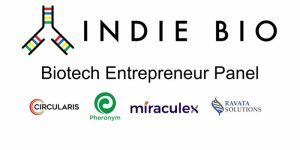 We talked about Pheronym and innovating in Sacramento. Missed the live stream on Wednesday, you got another chance to listen to us on YouTube! Come and see our COO/Co-founder, Karl C. Schiller, presenting.